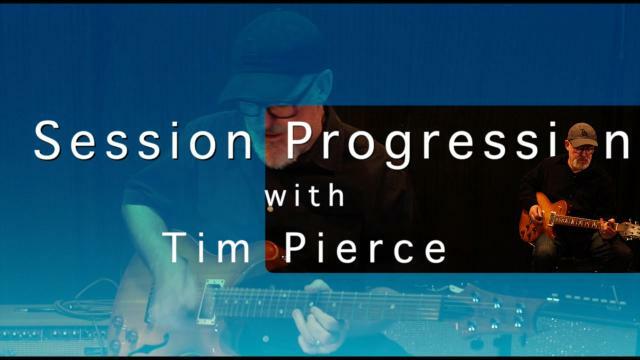 Session Progression_Episode 1_Tim looks at the myriad of soloing possibilities over the progression, Cm, Ab7, Bb7. Tim’s recording discography includes Crowded House, Christina Aguilera, Seal, Avril Lavigne, Tracy Chapman, Joe Cocker, Ricky Martin, Meat Loaf, Rod Stewart, Elton John, Michael Jackson, Bruce Springsteen, Rob Thomas, Rick Springfield, Phil Collins, Madonna, Toy Matinee, Don Henley, Santana, Rascal Flatts, Chris Isaak, Jewel, Faith Hill, Celine Dion, Dave Matthews Band, John Legend, Gavin Degraw, Mika, Carolina Liar, Goo Goo Dolls, Uncle Kracker, Josh Groban, Mylie Cyrus, Demi Lovato, David Cook, Adam Lambert, Daniel Powter, Chris Allen, Jack’s Mannequin,The Band Perry,Shinedown, Jason Mraz, Kelly Clarkson,Il Volo,Lana Del Ray, Gloriana, Colbie Caillat, and many others. He works with producers such as: Rob Cavallo (Green Day, Goo Goo Dolls), Warren Huart (Augustana, The Fray), Matt Serletic (Santana, Rob Thomas), Eric Ross (Sara Bareilles), John Fields (Switchfoot, Jonas Brothers), Walter A (Mariah Carey, Marc Anthony, Josh Groban, Celine Dion, Christina Aguilera, Ricky Martin), Bill Bottrell (Sheryl Crow, ELO, Michael Jackson, Tom Petty), Tim James (Mylie Cyrus, Demi Lovato, Sick Puppies), Ron Nevison (The Who, The Rolling Stones, Meat Loaf, Bad Company, Led Zeppelin, Ozzy Osbourne), Michael Lloyd, Howard Benson (Gavin DeGraw, Daughtry, Chris Cornell), Patrick Leonard (Roger Waters, Bryan Ferry, Elton John, Anna Vissi, Rod Stewart, Madonna), Keith Olsen (Fleetwood Mac), Trevor Horn (Seal, Yes, Art of Noise), Dan Huff (Rascal Flatts, Keith Urban, Faith Hill), Randy Jackson (American Idol and others). Tim still lives in LA and is busier than ever, doing sessions every day. Part 1 one of the interlocking rhythm R&B. 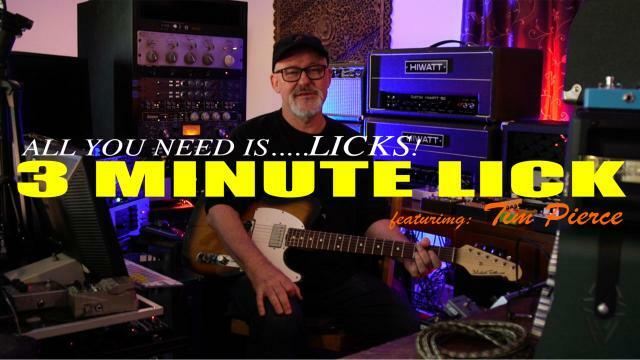 Top LA based session guitarist, Tim Pierce shows us some of the possibilities of soloing over the progression Gm, F, Bb, C, and how to weave them together. Tim’s recording discography includes Crowded House, Christina Aguilera, Seal, Avril Lavigne, Tracy Chapman, Joe Cocker, Ricky Martin, Meat Loaf, Rod Stewart, Elton John, Michael Jackson, Bruce Springsteen, Rob Thomas, Rick Springfield, Phil Collins, Madonna, Toy Matinee, Don Henley, Santana, Rascal Flatts, Chris Isaak, Jewel, Faith Hill, Celine Dion, Dave Matthews Band, John Legend, Gavin Degraw, Mika, Carolina Liar, Goo Goo Dolls, Uncle Kracker, Josh Groban, Mylie Cyrus, Demi Lovato, David Cook, Adam Lambert, Daniel Powter, Chris Allen, Jack’s Mannequin,The Band Perry,Shinedown, Jason Mraz, Kelly Clarkson,Il Volo,Lana Del Ray, Gloriana, Colbie Caillat, and many others. He works with producers such as: Rob Cavallo (Green Day, Goo Goo Dolls), Warren Huart (Augustana, The Fray), Matt Serletic (Santana, Rob Thomas), Eric Ross (Sara Bareilles), John Fields (Switchfoot, Jonas Brothers), Walter A (Mariah Carey, Marc Anthony, Josh Groban, Celine Dion, Christina Aguilera, Ricky Martin), Bill Bottrell (Sheryl Crow, ELO, Michael Jackson, Tom Petty), Tim James (Mylie Cyrus, Demi Lovato, Sick Puppies), Ron Nevison (The Who, The Rolling Stones, Meat Loaf, Bad Company, Led Zeppelin, Ozzy Osbourne), Michael Lloyd, Howard Benson (Gavin DeGraw, Daughtry, Chris Cornell), Patrick Leonard (Roger Waters, Bryan Ferry, Elton John, Anna Vissi, Rod Stewart, Madonna), Keith Olsen (Fleetwood Mac), Trevor Horn (Seal, Yes, Art of Noise), Dan Huff (Rascal Flatts, Keith Urban, Faith Hill), Randy Jackson (American Idol and others). Tim still lives in LA and is busier than ever, doing sessions every day. 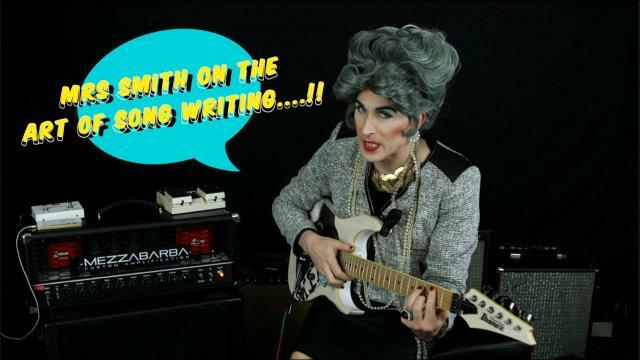 Episode 5 - The Art Of Song Writing: Relax the body, let the peace flow so you can the jam and write the best song ever. 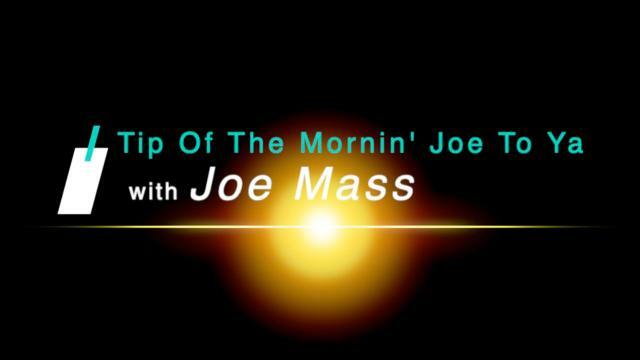 Tip Of The Mornin' Joe To Ya_Episode 1_Playing with the metronome and mixing up different rhythms. 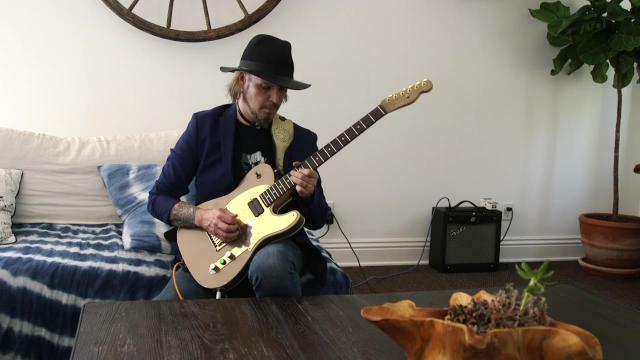 All the focus is on the guitar in this, the first episode of lessons from the amazing Joe Mass. Joe looks at how to spice up your soloing by mixing up different rhythms. 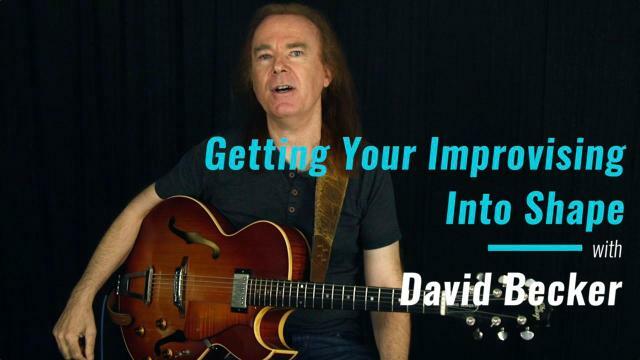 More Jazz improvisation tips from Jazz great , David Becker. 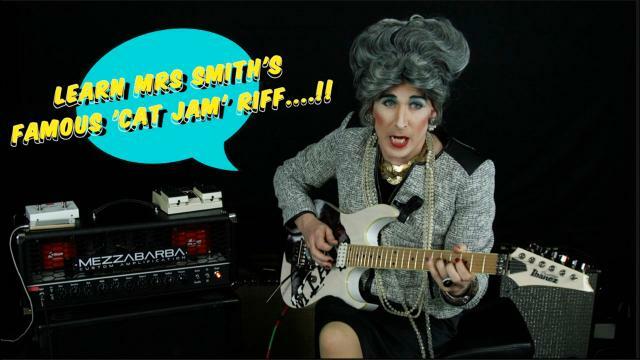 Mrs Smith, queen of the shredders, shows us how to shred like her....! Tim Pierce unlocks yet another soloing secret based around F#m. Tim’s recording discography includes Crowded House, Christina Aguilera, Seal, Avril Lavigne, Tracy Chapman, Joe Cocker, Ricky Martin, Meat Loaf, Rod Stewart, Elton John, Michael Jackson, Bruce Springsteen, Rob Thomas, Rick Springfield, Phil Collins, Madonna, Toy Matinee, Don Henley, Santana, Rascal Flatts, Chris Isaak, Jewel, Faith Hill, Celine Dion, Dave Matthews Band, John Legend, Gavin Degraw, Mika, Carolina Liar, Goo Goo Dolls, Uncle Kracker, Josh Groban, Mylie Cyrus, Demi Lovato, David Cook, Adam Lambert, Daniel Powter, Chris Allen, Jack’s Mannequin,The Band Perry,Shinedown, Jason Mraz, Kelly Clarkson,Il Volo,Lana Del Ray, Gloriana, Colbie Caillat, and many others. He works with producers such as: Rob Cavallo (Green Day, Goo Goo Dolls), Warren Huart (Augustana, The Fray), Matt Serletic (Santana, Rob Thomas), Eric Ross (Sara Bareilles), John Fields (Switchfoot, Jonas Brothers), Walter A (Mariah Carey, Marc Anthony, Josh Groban, Celine Dion, Christina Aguilera, Ricky Martin), Bill Bottrell (Sheryl Crow, ELO, Michael Jackson, Tom Petty), Tim James (Mylie Cyrus, Demi Lovato, Sick Puppies), Ron Nevison (The Who, The Rolling Stones, Meat Loaf, Bad Company, Led Zeppelin, Ozzy Osbourne), Michael Lloyd, Howard Benson (Gavin DeGraw, Daughtry, Chris Cornell), Patrick Leonard (Roger Waters, Bryan Ferry, Elton John, Anna Vissi, Rod Stewart, Madonna), Keith Olsen (Fleetwood Mac), Trevor Horn (Seal, Yes, Art of Noise), Dan Huff (Rascal Flatts, Keith Urban, Faith Hill), Randy Jackson (American Idol and others). 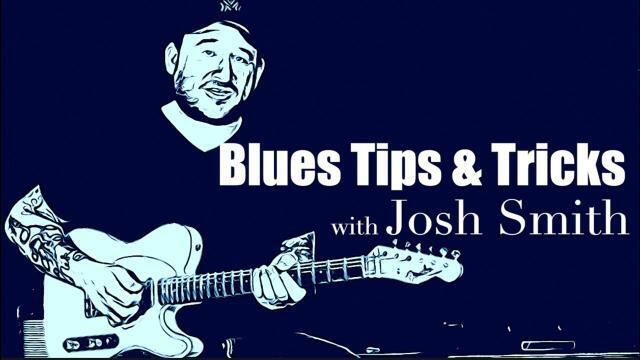 Episode 1 - BB King: Joe Bonamassa looks at what made BB King so special, his guitars and some iconic BB King licks. Joe Bonamassa looks at what made BB King so special, from his preferred models of guitar to his approach to soloing, all of which is now etched into Blues guitar history. 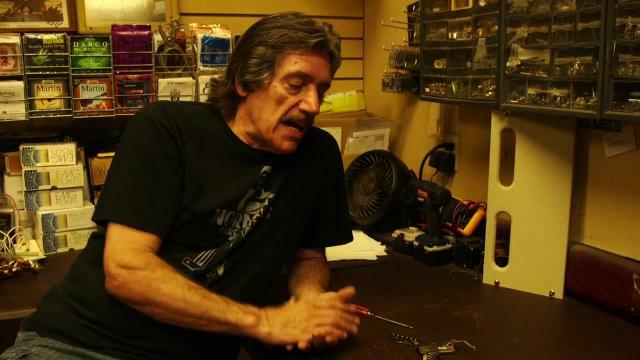 Mark Agnesi goes in-depth with Magnatone owner, Ted Kornblum. 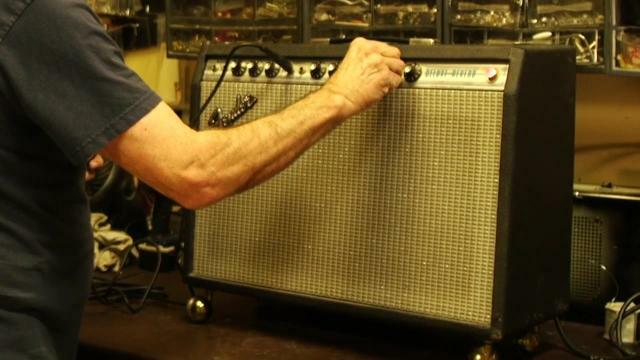 The John Tucci Show: Episode 2: Repairing a 1968 Fender Deluxe Reverb: This 1968 Fender Deluxe Reverb has 50 years of dust, dirt and crap built up in it but once John works his magic, it'll sound soooooo good....!! Turn It Up! narrated by actor/musician Kevin Bacon and featuring interviews with Slash, Robby Krieger, B.B. King, John 5, Les Paul, Steve Lukather, Nancy Wilson, Jeff “Skunk” Baxter, Albert Lee, Jerry Cantrell, Steve Howe, and many others. Directed by Robert Radler. 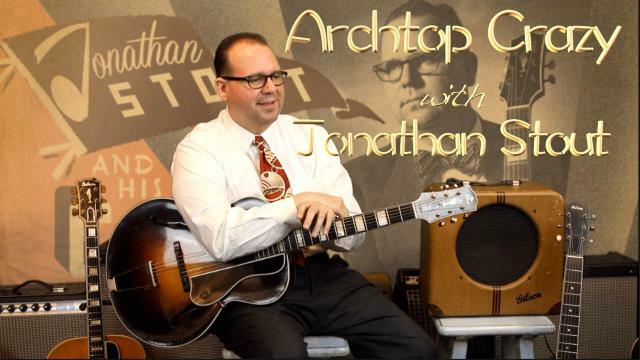 Archtop Crazy: Episode 4: Swing Rhythm Goes Electric: It took Gibson's introduction of the ES150 and Charlie Christian playing it to cause an avalanche in the guitar world. Suddenly, guitar players could be heard, single note solos became de rigueur....! 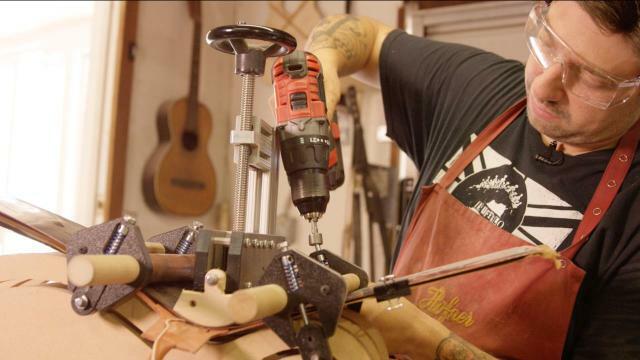 Joel Whitehead builds some of the most beautiful acoustics today. 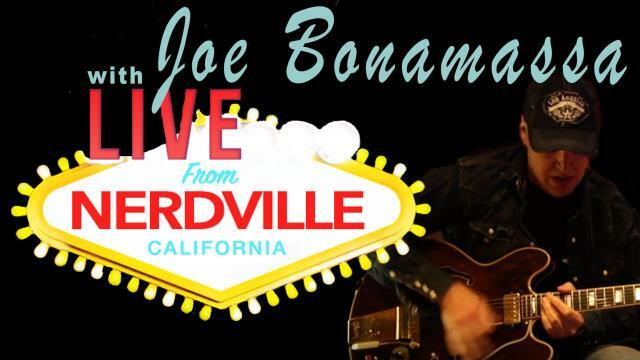 Joe Bonamassa has one. They play great, they sound great....they are GREAT...! 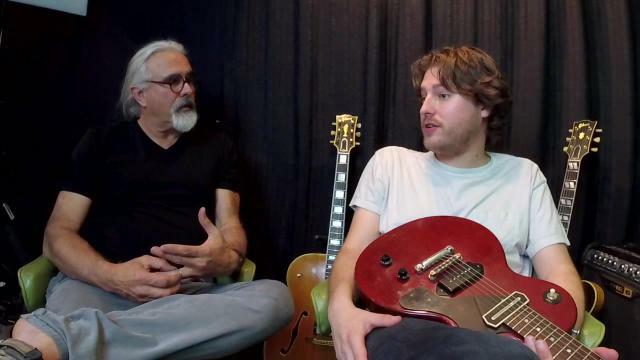 The John Tucci Show: Episode 1: 'PAF' Pickups: Our favorite tech guru, John Tucci gives us the inside scoop on Gibson's iconic 'PAF' pickups. What makes these 1950's pickups so special, why are they worth thousands of dollars? 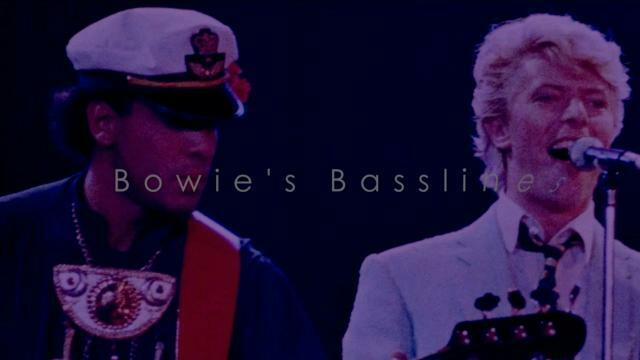 Bowie's Basslines - An Interview With Carmine Rojas. 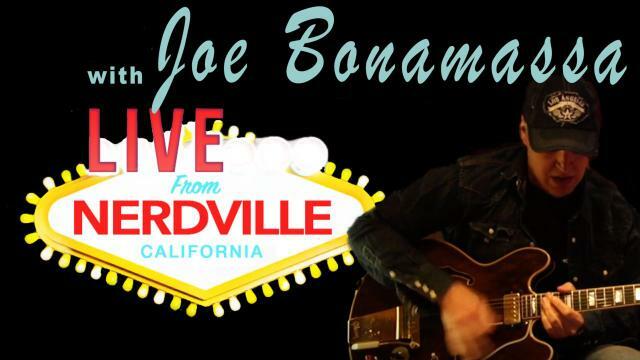 Chris Vranian talks to Carmine Rojas about his career from Bowie to Bonamassa. Bowie's Basslines - An Interview With Carmine Rojas. Carmine Rojas played bass for David Bowie through the defining 'Let's Dance' period and his basslines are now a big part of Rock history. He then went on to work with Rod Stewart, Julian Lennon and in recent years, Joe Bonamassa. Carmine shows us the inspitation behind his iconic bass line on 'China Girl'. 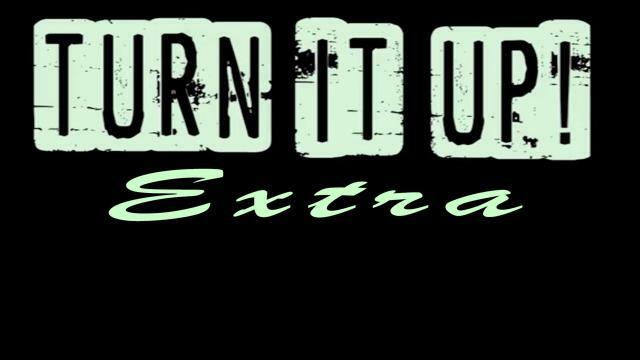 Turn It Up extra: 119: Mike Bloomfield and The Burst Bros talk Les Pauls. 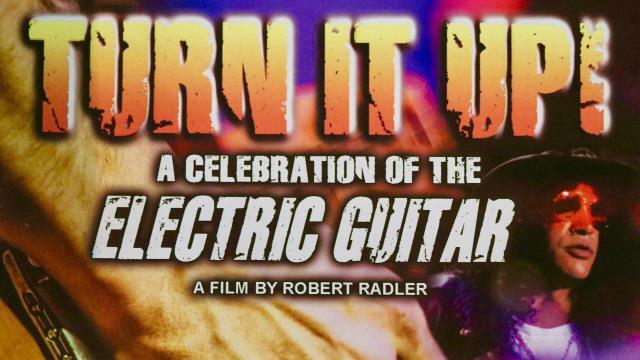 Turn It Up extra: 119: The Les Paul is the most desired electric guitar in the history of electric guitars. 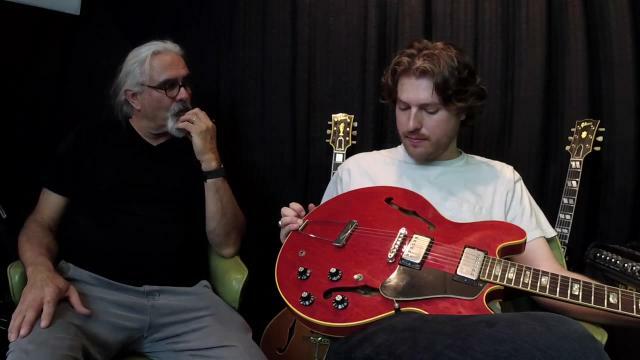 Mike Bloomfield and The Burst Bros talk Les Pauls.. Behind The Guitar Of The Day: April 17: '73 ES335. 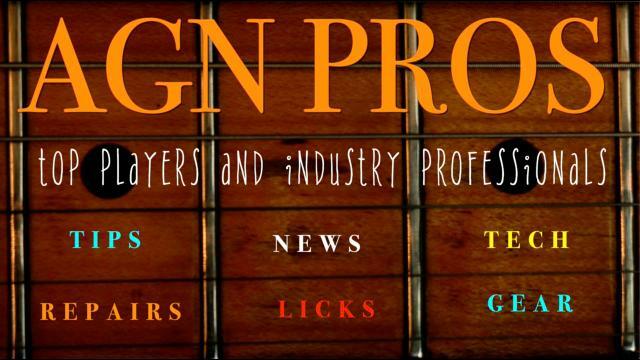 Get more of the inside story on the featured guitars on Guitar Of The Day. Today's guitar is a beautiful cherry red, 1973 Gibson ES335.